Adriaan Vlok was minister for Law and Order in apartheid-era South Africa. After the segregationist system was dismantled in 1990 he set about apologising for his crimes. In February 1990 the President of South Africa, FW de Klerk, began to dismantle apartheid - the system of segregation which had denied the black population basic human rights for over 40 years. Louise Hidalgo has been talking to Adriaan Vlok, who was FW de Klerk's law and order minister, about the end of apartheid and about coming to terms with the crimes that had been committed in apartheid's name. 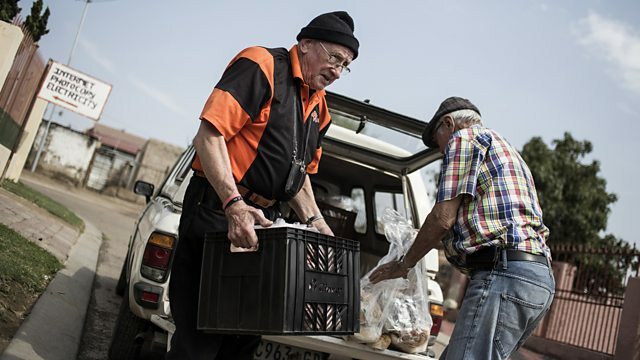 Photo: Adriaan Vlok delivering food to a township near Pretoria where he lives.